The New England State of Rhode Island was established by Royal Charter in 1663. In contrast with much of the eastern seaboard of the USA, Rhode Island – the smallest US State – still has farmland and a coastline that has not been over-developed. It is the coastline and the beaches that mark out Rhode Island, but few people seem to mention its inland waterfalls. Some have been made by man, who created dams in the midst of urban areas; others are completely natural. Here are 15 amazing waterfalls in Rhode Island that you can see if you go exploring this small territory. The Blackstone River was formerly in the midst of the industrial revolution. 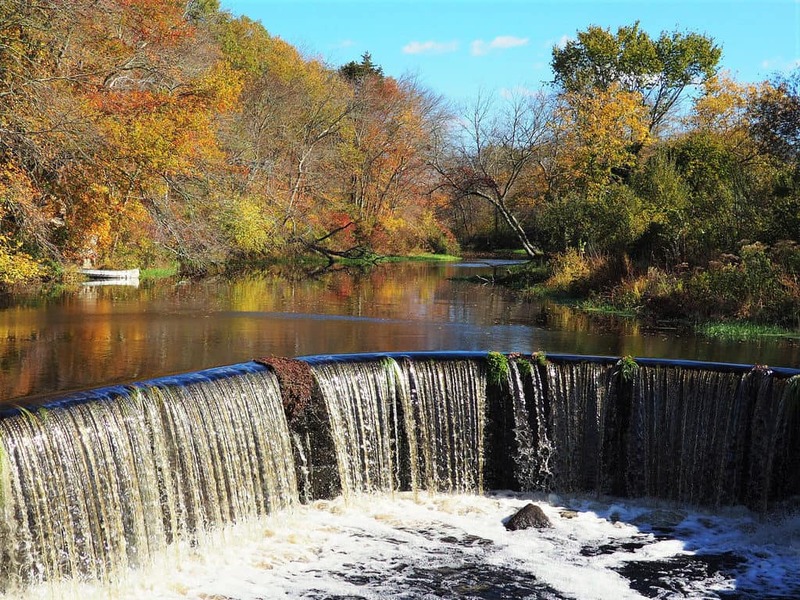 Several dams were constructed in Rhode Island and neighboring Massachusetts in the 19th century to provide power for its many industries; timber, leather, ores and metal products. The waterfall created by this dam is not especially high but it is impressively wide. You will be greeted by an impressive sight if you visit the falls. Pollution has been addressed but, although kayaking and canoeing on the river are popular, it is not advisable to swim or eat fish from here. This natural waterfall is accessed via the Mountaindale Road. The falls are seasonal, with the best time to visit being in the spring after the snows melt or after a period of heavy rain. Surrounded by bright green moss, they make a lovely photograph when they are in full flood. A picture in the fall can be a real stunner because of the colors of the leaves. 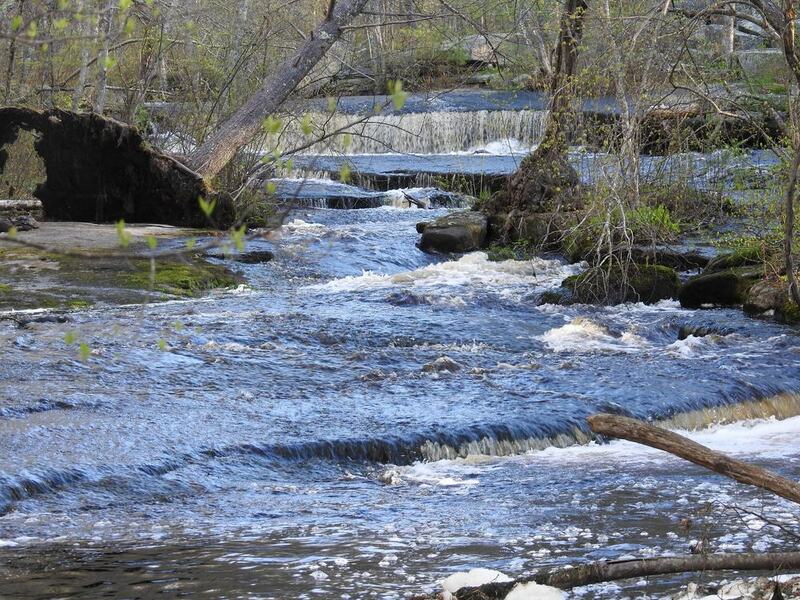 The area is a preserve, owned by Smithfield Land Trust, and the falls are found on a four-mile trail which has some elevation – a rarity in the relatively flat state. When it comes to claims of the prettiest falls in Rhode Island, Cascade Brook certainly has a case. 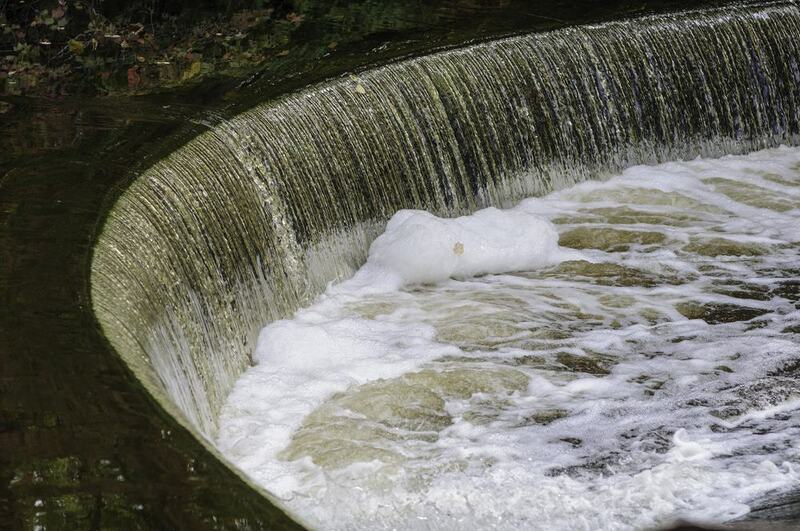 It is a 12-foot-high waterfall in the shape of a horse’s tail on the small Ken Weber Conservation Area. Mr. Ken Weber wrote a number of hiking guidebooks, and one of the shorter hikes in Providence County is the short trail to these falls – just a mile long, so suitable for the whole family. They are very much a seasonal waterfall, and if you want to see them at their best, spring is the time to pick. You are not allowed to swim but you can take a dog on a lead. Slater Mill is a famous National Historic Site dating back to the end of the 18th century, as industry was developing. The region is arguably the birthplace of the Industrial Revolution. The dam created the power for a cotton spinning mill, with the broad waterfall still producing a lovely setting for visitors to enjoy, although the mill has long since closed. You can take a tour of the mill for a small charge or simply sit out in the fresh air for free and enjoy a leisurely lunch. 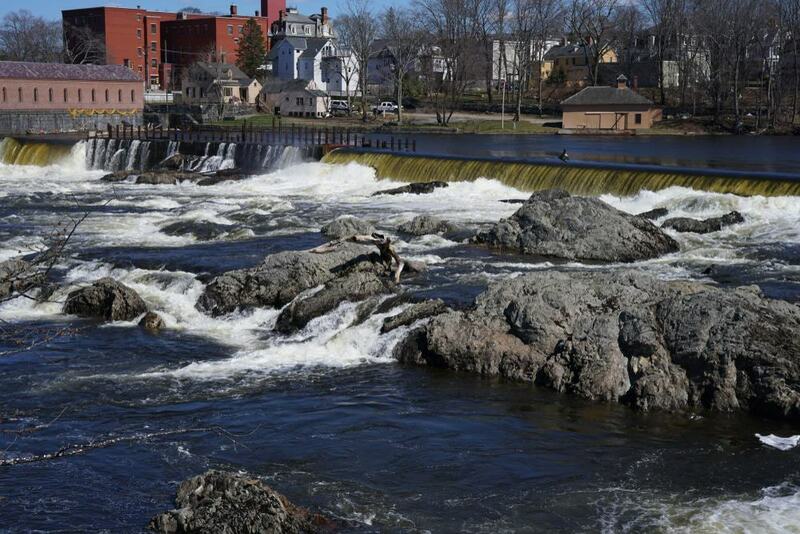 Pawtucket Falls are located half a mile upstream of where the Pawtuxet River meets the Seekonk River. The name means ‘’little falls’’ in the language of the Native American Narragansett Tribe. The name has been given both to the falls and the coastal village between the cities of Cranston and Warwick. These cascades flow directly below the main bridge in the village, so you can get close; although the best viewpoint to capture the entirety of the falls is from the riverbanks below the waterfall. Postcards of the falls have always been holidaymakers’ favorites. 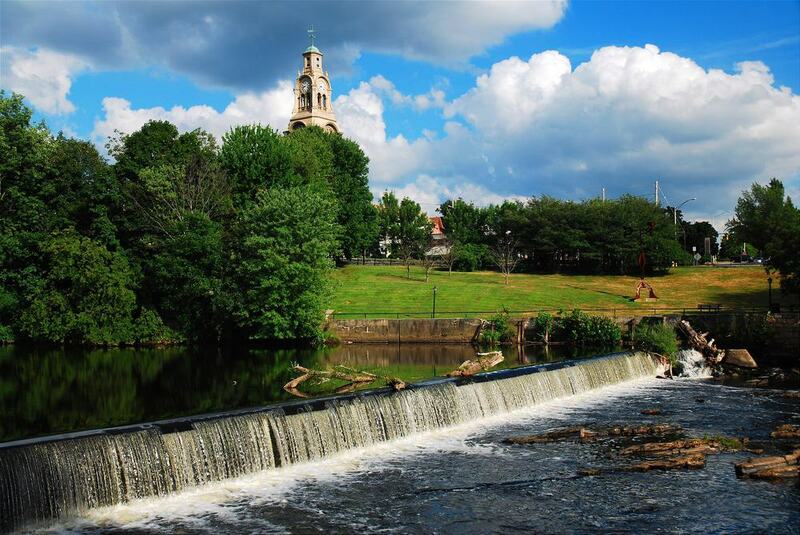 These quaint falls in the small village of Shannock are on the Pawtucket River. The water makes little sound as it drops, but years ago, the sounds were of the brick factories and the fabric company – which finally closed fifty years ago. You can look upstream at the small homes of the workers, as well as the more impressive ones of the bosses. The dam is made of stone and the cascading water makes a lovely photograph. Read about the fish ladder and how it works, and perhaps get some exercise by canoeing if you’re feeling active. Harrisville is a lovely little village in Burrillville and the local hiking trails are proving very popular. The dam is in the middle of the town and it was constructed in the middle of the 19th century to produce power for the textile industry. The best place to view these falls, which come down in a series of small steps, is from a nearby park. The falls are fairly wide and the sound that the water creates mean they are impossible to miss. You can relax at the nearby Waterfall Café and hear the power of the water on its journey downstream. Burrillville – a town in the north of Rhode Island – is famous for its fishing. Round Top Brook is a state-controlled area which is regularly restocked with trout, so it is not just the lovers of waterfalls that head here. The falls have a single drop and are wider than they are high. The water dropping on to rocks looks white as it bounces up, so even amateur photographers will get a lovely image. This lovely, semicircular waterfall is away from any crowds but still accessible. The water’s route is from Wood River into Wyoming Pond before going over the dam. You can park very close to the falls and can also boat or fish here. You need to be careful because the surrounding rocks can be slippery from the spray. Worn stone steps go down to the base of the falls and the overall craftsmanship to create an impressive arch shows the skills of construction. The dam was recently rebuilt as the water levels seemed to be falling. Robin Hollow Pond Falls are among the most impressive on Rhode Island. After parking, you can stop on Cumberland Mills Bridge to look down at the retaining gates that create the pond and release the water to drop onto stone. The falls themselves are just 10 feet high, but with the water falling on to that stone, the appearance is white. A pleasant trail attracts those wanting some leisure activity, while fishermen come in numbers to Cumberland where there are a series of well-stocked ponds. This stretch of water in the George B. Parker Woodland Wildlife Refuge has a waterfall as well as some smaller cascades in the Foster section. There is a defined trail, and you will find the falls close to the bridge that crosses the stream. To get a better look, you may have to go off the trail and get through some vegetation. The whole trail is just over seven miles long and the terrain is a little difficult at times, so it is rated as moderate for hikers. The falls are best in the spring or in the colors of the fall after heavy rain. There is a pleasant trail in Kent County that is just over 2.5 miles there and back, taking in the Stepstone Falls on the Wood River. You can visit these falls with your dog, but strictly on a leash. There are a series of cascades, none of more than three feet, dropping over broad ledges, but they are seasonal. Visit in the spring as the first choice, or alternatively, after a period of heavy rain. While the trail is relatively short if you are just going to the falls, there is no wheelchair access. Fishing is permitted and you may catch sight of wildlife, including mink and deer. 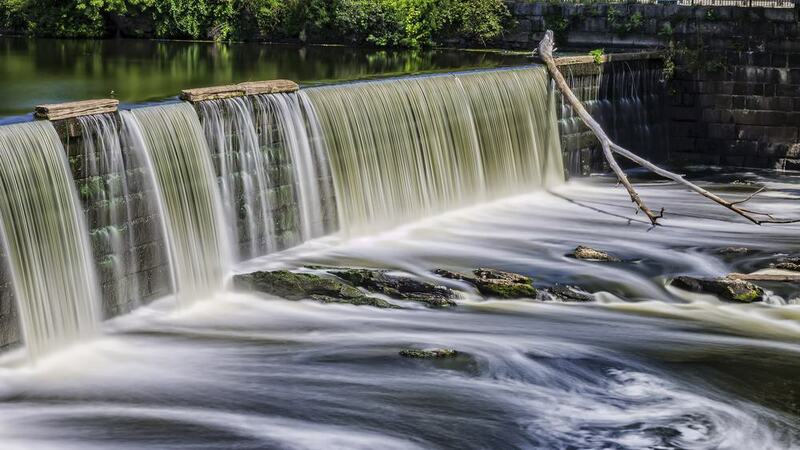 The dams on the Blackstone River in Lincoln were built to provide power for the textile mills between Providence and Worcester. A by-product of that work was two waterfalls in a fairly short stretch of water. The industry has gone, with the buildings often converted into apartments. The owners may get lovely views of the waterfalls that remain. There is a cycleway along the river; when you start at Captain Wilbur Kelly House, you will reach Ashton after 1.6 miles and Albion a similar distance on. You can walk this route throughout the year and take in the industrial history that once made such a contribution to the state’s economy. These falls on Ten Mile River were created when a half-moon shaped dam was built to provide power for the timber industries from the middle of the 17th century until the onset of the 20th. They are a lovely sight, with two powerful spills of water split by a giant boulder. The sound of the water is impressive. You should stop and take it in even if your main point in being there is to walk the trail through some of the region’s industrial history. On the way, you will pass Otter Rock and an old pump house on the river. There is a very family-friendly trail of 2.4 miles around Browning Mill Pond that everyone enjoys. Halfway around, two dams were built years ago, and the result was a 20-foot waterfall that drops from the pond into Roaring Brook below. You can stand on the dam wall but it is often slippery. A fish hatchery once operated here but it has now been abandoned. However, the sluice gates and cement tanks that once held the fish are still in evidence. Continue on a little way and cross the brook to make the return journey.